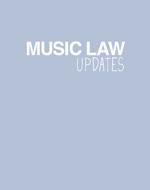 COPYRIGHT Record Labels The Huangpu District People’s Court in Shanghai has accepted two copyright cases filed by Universal Music and Warner Music against the Shanghai Book City and several Chinese music producers. The plaintiffs said in their lawsuits that the Book City sold pirated MP3 discs that contain songs from pop stars Daniel Chen and Sammi Cheng. Universal Music and Warner Music hold the copyrights associated with the songs. The suit also alleges that Beijing Yuncheng Laser Disc Co Ltd, Beijing Weidi Electric Publishing House, Hebei Jiyuan Photoelectricity Co Ltd, Anhui Culture and Music Publishing House and Beijing Zhengpu Scientific Development Co Ltd issued MP3 discs containing the songs without authorization. Universal Music and Warner Music have asked the court to order the defendants to stop sales immediately and make a public apology. The plaintiffs are also seeking unspecified financial compensation. Book City said it performed its obligation as a retailer to stock products from authorized suppliers. If the suppliers produce pirated books or music products, they should be held responsible. Book City also said it is impossible to check whether all its goods are properly licensed since it sells tens of thousands of music and video products and books….